A new project has been funded by NERC that takes an innovative approach to engaging the public in environmental science issues such as climate change and pollution. The project – which includes NCEO as a partner – combines community development, storytelling and citizen science, enabling diverse communities to have a meaningful stake in discussing and tackling environmental science issues. It aims to create lasting change in public engagement practice by providing learning opportunities while shaping future activities to equip NERC’s research community and diverse communities with essential skills in public leadership. It is led by the University of Reading, in partnership with the University of Birmingham, University College London, the University of Salford, The University of Manchester, Newcastle University, and the organisations Earthwatch, Tekiu, and Citizens UK. A further 25 partners, including the NCEO, the Woodland Trust, the Natural History Museum and open science portal Figshare, will also contribute to the project. 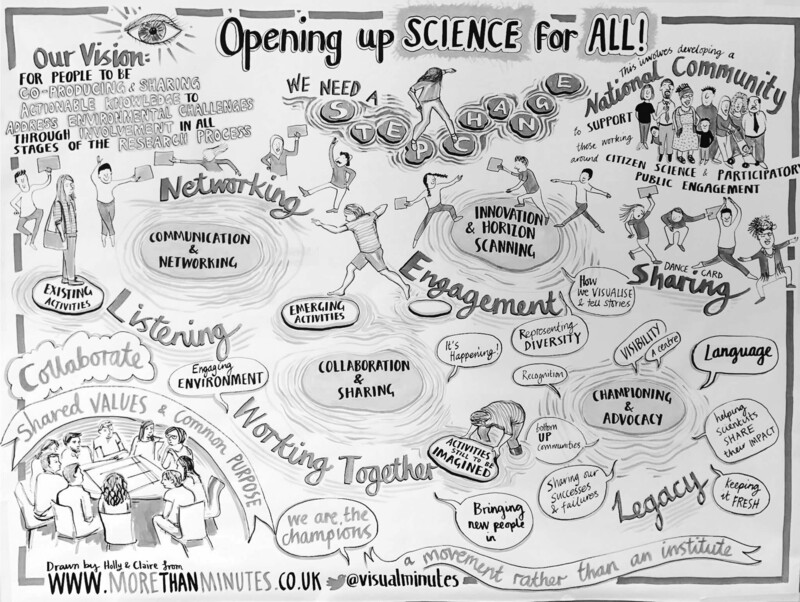 As NERC’s largest investment in public engagement to date, the second stage of Engaging Environments represents our recognition of the importance of public involvement, and our commitment to enabling high-quality engagement with environmental research. This programme will equip the NERC research community, and wider groups, with the skills and confidence to take innovative approaches to collaborating with the public in research. Use our EO Detective teaching materials to inspire young minds in the classroom.